In the bottom of your dishwasher, sprinkle some borax and leave it overnight. The next day, wipe down the inside of the dishwasher, door, and all other surfaces using a damp sponge or cloth. No need to rinse the surfaces, just do the next load of dishes. And that’s how to get rid of dishwasher odor! 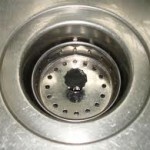 It is a good idea to clean your kitchen sink drain once per month using this simple method. Pour a handful of baking soda into the drain and then add 1/2 cup of white vinegar. These ingredients will combine and form a small erupting volcano. Cover the drain for several minutes. Uncover and then rinse with cold water after 1/2 hour. 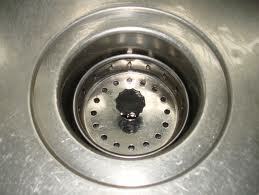 To clean your kitchen garbage disposal and keep it free-flowing, fill your sink with 3 inches of warm water. Mix in 1 cup of baking soda. Drain it with the garbage disposal turned on. When your kitchen sink drain gets clogged with congealed grease and other food bits, here is a great non-toxic way to clean it. Pour 1 cup of any kind of salt and 1 cup of baking soda down the drain. Then pour boiling water down the drain. Do not use the drain for a few hours for best cleaning results. Toothpaste can be a very effective cleaner for silver. The baking soda in toothpaste is what does the job. First, choose the right toothpaste. Do not choose gel toothpastes or toothpastes with tartar control or whitening powers. These toothpastes may contain chemicals which could damage the silver. Wet the silver and dab a small amount of toothpaste on the area you are going to clean. (You may wish to test a small area first so as to see if you should be using toothpaste to clean your silver item.) Use a clean damp cloth and rub the toothpaste around on the silver. 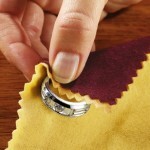 Keep rubbing gently until the silver is polished. Rinse the silver with water. As your cloth gets dirty, fold over to get clean areas. Once the silver is all rinsed, dry with a soft clean cloth. Repeat these steps on all the silver you wish to clean. On silver with intricate designs or grooves, you can use a soft toothbrush to work the toothpaste foam into the hard-to-reach areas. Here is a good home remedy for oven cleaning, if you have the patience and don’t want to use harsh oven cleaning chemicals. I do find that the typical store bought oven cleaners are very effective when using them correctly, although they are harsh chemicals that require care when using, you must wear gloves etc. So if you have the patience then maybe a good home remedy might be a good alternative. Use an empty spray bottle and mix three or four table spoons of baking soda in the bottle and mix with plain water. Use about 1 litre or pint and a half of water. Baking soda is a good all purpose cleaner and can be used for cleaning your stainless sink as well, just sprinkle and wipe. Shake the water and baking soda mixture until the baking soda dissolves. When the oven is cool spray the solution on the blackened build up in the oven, do this at least once per day or more. Use your oven like normal applying the baking soda solution between uses, the wet baking soda will break up the build up which will settle on the bottom of the oven as a black power which can be easily wiped up. This will make the oven look messy, but like I say it requires more patience to clean the oven this way. As the build up breaks down and the oven is cool wipe with a wet or damp cleaning cloth. Depending on the amount of build up this can take more or less time. Using the baking soda mixture works over time and can be used on other pots/dishes with carbon accumulation. This technique a green and inexpensive way to clean an oven. You’ll notice that the main ingredient in many commercial oven cleaning products is baking soda (also known as sodium bicarbonate). One disadvantage to this approach is that it takes time for the baking soda to chemically react with the carbon. Time and repeated applications of the spray bottle solution are your keys to success. A clear advantage to this approach is that it is not very labour intensive. But you have to remember to spray the carbon stuck to the interior of the oven until it all flows to the bottom of the oven. Then wipe it all out with a damp cloth. One more thing to consider: It takes a lot of baking soda to remove a lot of carbon. Be sure to apply a significant quantity of baking soda before giving up on the project. Significant quantities of wet baking soda and the passage of time are your keys to success. Remember! The baking soda does not react with the carbon unless it is wet. On particularly difficult spots, you may want to dampen the baking soda in a bowl and apply it directly on these spots as a wet paste. If you do this, keep the baking soda wet for an extended period of time by coming back often and spraying it with your spray bottle. If the accumulation of carbon is particularly heavy on the bottom of your oven, you can sprinkle baking soda on to the bottom as a dry powder and then dampen it with your spray bottle. For those of us who don’t have the time to invest in the slow but sure way to clean an oven a conventional store bought chemical is the best method for oven cleaning. Whatever your refrigerator or freezer is, may it be a small and simple one or the big ones like the American style fridge freezers, it is of paramount importance that you maintain it properly and clean it regularly so as to avoid the foul smell that it may produce. Maintaining fridges helps not only in getting rid of foul odors but in prolonging its life as well. There are many ways and materials that may be used to clean any fridge. Some tips are listed below. For a fridge that has a day or two of odors, baking soda will work, however if the fridge has been absorbing fragrant odors for several months, you have to be more aggressive to remove the smells. The first step,is to thoroughly clean the fridge removing all the items shelf by shelf and wiping down with a general purpose cleaner will go a long way to removing smells. For more persistent smells try a shallow pan of active charcoal, which you can find at your local pet store or aquarium supplier. Let this sit for a few days and see if it helps enough to make it tolerable. Another great hint is to fill a shallow pan with fresh ground up coffee. This smell is very powerful, and is easily absorbed by the plastic. This masks the problem rather than removing the odors, but it is likely better to smell coffee, than, well, whatever it smelled like before. For more severe smells that will not be removed by conventional means, we have one final idea. Empty the fridge being sure that it is turned ON. Crumple up some old newspaper, and mist the paper with water. Stuff the fridge full of these big balls until it is entirely filled. Replace the old newspaper, with new, freshly moistened newspaper balls every other day. Repeat this four or five times (yes, this will take a week to 10 days!). It is possible the fridge will require defrosting once you have done this, if the moisture has migrated up the freezer, and don’t forget to empty the drip tray as well! Even when you are done all this, the baking soda, and/or ground coffee won’t hurt, although the coffee may tend to flavor unsealed food as well. Fridge smells can be persistant but remember to faster you clean messes or throw out old food the easier it is to keep your fridge smelling fresh. Small pieces of food that stick to the non-stick waffle grid should be easy to remove by using a pastry brush to brush off the food bits. Try doing this when the grid is still a little warm and not completely cooled off. For washing off the excess oil, if the grids are removable hand wash in sink with soap and water. If the grids are not removable then hand wash with soap and water. Never soak or completely immerse appliances like waffle grills in water. This post is in honor of my 13 year old daughter who is certainly in the top ten worst dishwasher loaders of all time. I try to give her pointers but I am sure she just ignores my advice in the futile hope that she will eventuallybe excused from helping around the house. 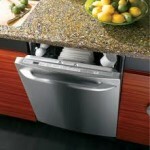 Here are four important tips for efficient dishwasher loading, to get to most out of each load and not waste energy re-washing etc. Number one…load large items at the back or sides, so you do not block other dishes on the bottom or top racks from getting sprayed/cleaned. Number two…the dirtiest dishes get placed near the centre of the dishwasher where there is more spray action. Number three…don’t allow your utensils or dish nest, alternate spoons and forks etc to be sure they are cleaned with maximum efficiency. Number four…place delicate or small items on the top rack, don’t allow stemware or other delicate items touch each other to prevent breakage or chips etc. Its important to not overload the dishwasher either, however just having 3 plates on the bottom rack and a few cups on the top rack while half the sink is still full is not great either. That’s just being a lazy teenager, think of it as saving the environment by packing and using the dishwasher efficiently. Here is a question I received by email recently, the answer may help others with similar potential issues…. I removed a rubber backed mat from my white floor in front of my kitchen sink, and the area under the mat has turned yellow. What will remove this stain? The short answer is nothing. It is likely a linoleum floor, which as a result of have moisture trapped under the mat, has left this permanent yellowing. There is no way to remove this type of stain. The best solution is yet another mat to hide the stain, or to replacing the flooring. A jute or natural backed mat will permit moisture to escape, and will not cause further damage.